Diane and I revisited the Moon House Ruin this past weekend on Cedar Mesa and I think I got my best photos from there on this visit. Here’s one of them to hold you over until the complete trip report is done! Just a quick photo of one of my very favorite pictographs that I revisited this past weekend. When I discovered this panel with Philippe a few years back I called this the Unexpected Panel since we didn’t expect to find a new panel that day, but some people have started referring to this panel as the New Panel or Supplication Panel (not to be confused with the already well-known Supplication Panel near Moab). 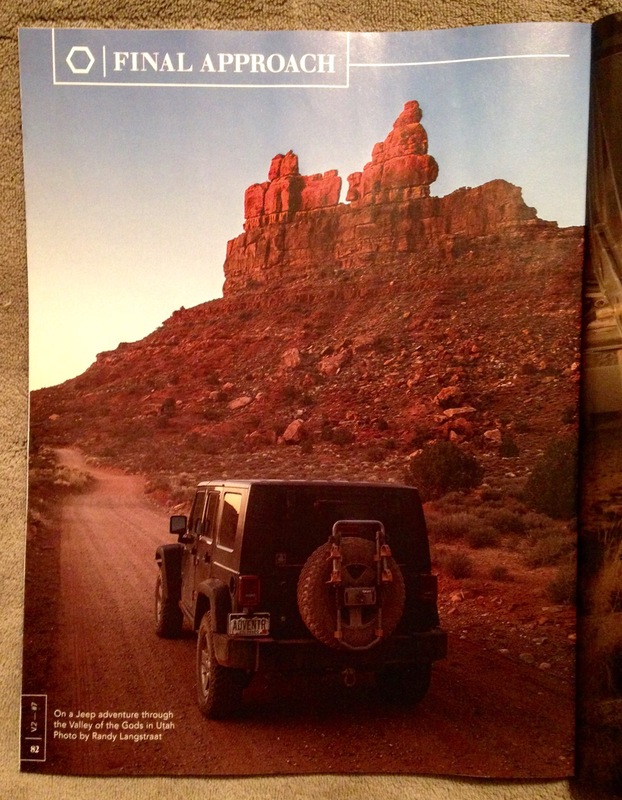 I just received the latest copy of OutdoorX4 Magazine and found that I have two photos of my Jeep in this issue. One two-page spread inside the front cover and one photo inside the back cover. It’s always a nice surprise to open a magazine and see a photo you took. 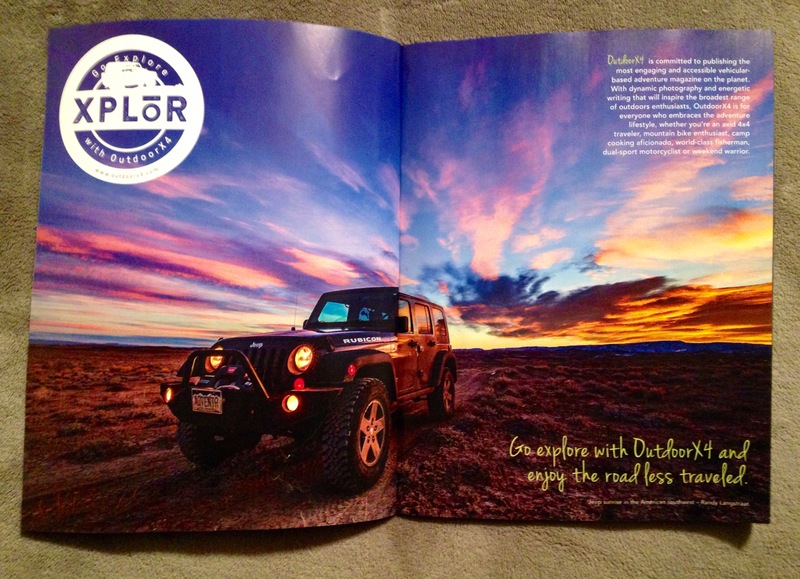 If you enjoy spending time outdoors and use a 4×4 vehicle to get there, I highly recommend you check out this awesome publication! 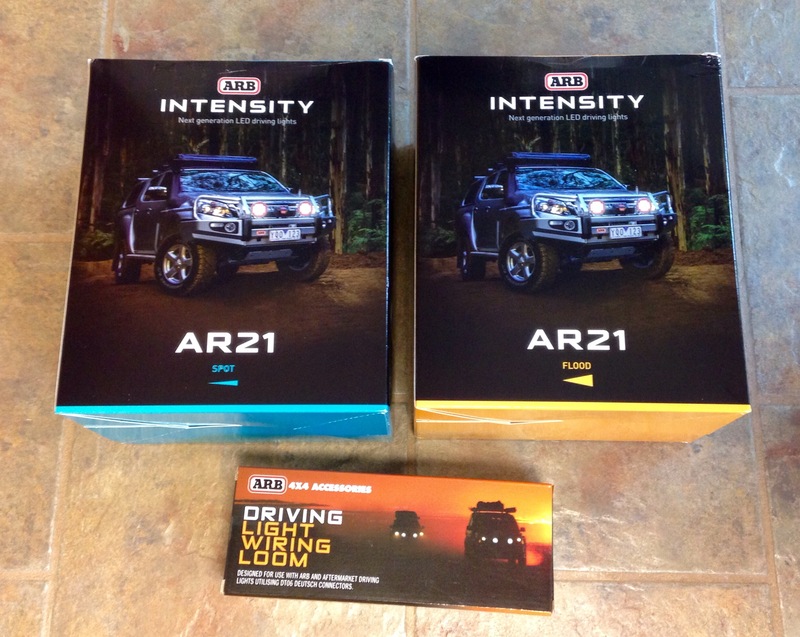 ARB thought that my new front bumper needed some lights on it, so they just sent over a pair of their new LED driving lights.